Infrastructure. Unless your partner is tiny and located in a 3rd tier city you won’t have any problems with infrastructure. Well, you may have to deal with some irregularities in connectivity due to some natural disasters, it gets quite rainy during monsoon season out there, but I tell you that: we use AT&T as our internet provider in our San Francisco office and once in a while they drop connectivity despite blue sky and sun outside. With a huge supply of IT services in India you can find infrastructure that would cater to most ridiculous demands. Operating Environment. Flying to India is far from fun especially from the west coast, in particular if your company doesn’t cover first class travel. 30 hours in transit plus you arrive there in the middle of the night. Unless you time your trip well the nature would great you with heat and humidity. Flying back could be so much better if you did not need to deal with airport lines and crowds. The good part, that’s pretty much the extent of the adversities. Chances are you will be staying in a good hotel, will have a personal driver, eat in good restaurants, and even corruption is wide spread in India at all levels you most like won’t need to deal with it. Skills Availability. That’s is one of the strongest Pros of the country. No matter what skill you are looking for there will be at least 10,000 people who have it. Well, more seriously, the supply of IT talent in India is outstanding, some areas more than others of course. Mainstream technologies of today and yesterday – Java, .NET, C/C++, ERP, Cobol, etc. – have substantial oversupply. You also can find a lot of talent even on a cutting edge of the technology. The quality of the talent follows the bell curve and nowadays the median has gone up comparing to late 90th. English Skills. Well, that’s a hidden gem isn’t it? Of course with English being widely popular in India the main issue you would need to deal with would be an accent. Maybe some idiomatic expressions, some speech forms, etc. but generally it is not an ever a showstopper and forms a huge Pro of the country. 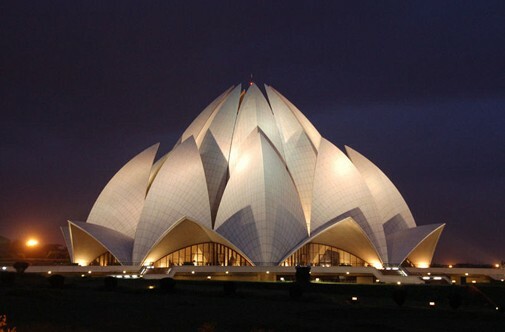 The cultural differences on business side were not so dramatic to begin with considering history of British influence on legal and business system of India. 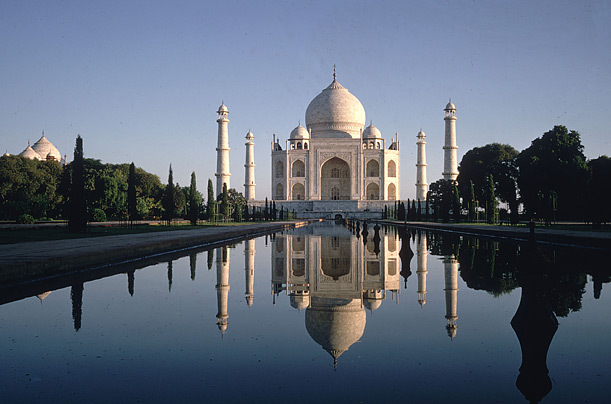 Resources from India have been in this country in large numbers and for a long time. People in the USA learned the differences, behavioral patterns, and idiosyncrasies to a pretty good degree. Many Indian vendors invest a great deal into cross-cultural training as well as in accent training. As a result the gap between cultures is narrowing considerably. “Never say No” or “Yes to Death” – while working with Indian resources you always need to keep in mind that they might have a very difficult time say “No” in any shape or form. “Can you do that? – Yes, we will do Nick.”, “Do you have access? – Yes we do Nick”. That doesn’t mean that they can cater to any need or demand, they just can’t say NO. No bad news is a no-news. While the times of chopping off bad news barer heads are over, the habit is still there. So if you do not hear about bad news, it doesn’t at all mean that everything is going well, it just simply means that you do not hear / do not know what is going on. Motivational hierarchy. Of course Maslow’s Pyramid rules. But there is a plenty of subtle differences in how its upper levels translate for a specific culture. Not bad / not good – just different. For example, personal success in India outsourcing is often measure in number of people the person supervises. “I have 100 people under me…” That pushes good developers away from the technical track towards managerial with inevitable profound negative impact on technical abilities of the organization. Resource Turnover. Turnover is very high, it is high to a degree that it almost outweighs all pros of the region. See my earlier post Myth for more thoughts on the subject. Resource Quality / Technical Capability. IT Outsourcing proved to be a rather lucrative business for many social groups in India – entrepreneurs, engineers, education providers, etc. Millions of people moved into the field in the Golden Rush of the century. As a result average quality of resources started going down to a degree that even time-proven trademarks of quality do not work anymore. Not long time ago I was stunned when I had to fire a consultant for incompetence; the stunning part came from the fact that he had a master degree from IIT. One more Con related to the Golden Rush is worth mentioning: huge number of companies with a large number of low quality fly-by-night vendors makes it extremely difficult to find a right provider. It’s very much like looking for gold – you have to go through the tons of dirt to find the right substance. However, you are looking for gold, and one thing I am certain of is that you can find that gold in India. A few months ago I went through a vendor selection process for a technology company in SF Bay Area. The goal was to find a vendor that would become a long-term partner / a part of a local development team. My clients were set on considering only two countries – India and China. Access to resources in high-tech centers of India is getting increasingly complex, finding It talent ion cities such as Bangalore is almost as complex as in San Francisco. Outsourcing companies also have to compete with subsidiaries and offshore divisions of multinational corporations such as IBM, Microsoft, Accenture, etc. We still were surprised with how difficult and slow the sourcing process was. It seemed that finding even mainstream roles such as .NET developers or Winrunner QA guys was practically impossible. We found that access to resources in China was not as complex. It appeared that companies in China were able to staff up for a project 3-5 times faster than India companies. In example confirmed by the references it took 2 months to build a 30 FTE team versus 9 months for the same by Indian Tier 1 InfoSys. 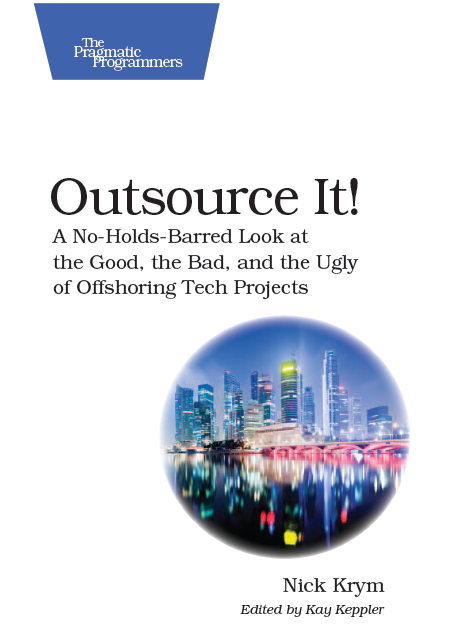 The companies with $5M-$20M revenue range (our target based on scope of outsourcing) fall in a group of 3rd to 5th tier companies with inevitable impact on their access to resources which is exacerbated by general scarcity of IT talent. So it was not a surprise for us to see very poor quality of resources. Our average “hit rate” (number of people we would consider for “hire” vs. people presented to us by the vendors) was 1 out of 4. Companies with the same $5M-$20M revenue range are the first/second tier companies in China with top pick in off campus hiring as well as other methods of employee sourcing. We saw that as a solid, and possibly the most important, advantage for Chinese firms. However our hit ratio was even lower than in India – 1 out of 5.5 due to serious communication / language handicap. Concentrating only on those resources who we considered potential “hires” we saw a decent blend of theoretical and practical knowledge with some diversity in skills / background / experience in India. Our potential “hires” in China showed rather weak theoretical knowledge across the board. Their practical skills were solid yet extremely narrow; most of the “good” people we talked with were “pigeonholed”, and did not seem to mind. Getting honest information about turnover, retention and attrition seemed practically impossible so we got the numbers from unsolicited references rather than from the vendors. Most of the large s/w outsourcing companies in India have turnover rates exceeding 30%. Attrition is particular high in large centers such as Bangalore, Hyderabad, Mumbai, New Delhi. For small companies it is not unusual to see offshore staff turnover rates exceeding 50%. Turnover rates in China outsourcing industry are under 25%. The companies that were selected claimed to have attrition rate about 15%. We saw low attrition rates as probably one of the greatest advantages of China over India. There is no comparison in communication skills of consulting work force in India and China. Command of English language for majority of people we interviewed in India was far stronger than mine. In China the situation was opposite, more so the more skilled and senior the resource the lower his/her language skills. With communications being one of the most important aspects of majority outsourcing initiatives India have a huge lead on China. A mindset of typical outsourcing company is oriented towards revenue / profit and is focusing employees towards “billing hours” rather than customer satisfaction or success of the project. High turnover rates and general acceptance of job hopping have devastating impact on resource’s attitude and work ethics. Majority of consultants have over-inflated expectations in terms of their seniority, type of work they should be doing, and a speed of promotion. With aggressive market share oriented drive of China s/w outsourcers employees of these companies are focused on high productivity and customer satisfaction. Workdays of 10-12 hours are not at all unusual (note that billing is typically negotiated on monthly basis with 8 hour workdays). There is a strong prevalence of team values over individual. The workforce work ethics present one of great advantages of the outsourcing companies in China. Combined with lower levels of flexibility in job market (partially due to the country’s political and economical structure) the work ethic to some degree offsets luck of knowledge and experience.